Hasan Minhaj is going off-limits—against his family’s hilarious protests “politics are like a jalebi, round round round”—and talking about politics in India. 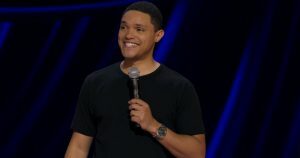 The latest Patriot Act digs into the recent attacks in Kashmir and how difficult it is to cover the turmoil between India and Pakistan (the show wasn’t even allowed to use a map of the area). With the elections coming up, India’s 900 million eligible voters have the chance to alter the face of democracy. Minhaj takes a look at the different candidates and why it’s near impossible to predict how far India will swing on the political scale this year. It’s a deeply complex and divided issue but Minhaj breaks down the vital info to address why we need to be talking about it…even if that means he gets accused of being a Pakistani agent..because his family wasn’t joking. Speaking up the way he did in this episode takes guts—but we all know Minhaj has never been one to back down in the face of taboo topics. Just before voters head to the polls in India’s national election, Hasan explains what’s at stake for the world’s largest and most diverse democracy. Bobby is first introduced to Athena’s parents; Doug works his way deeper into Chimney’s life after Maddie tries to put an end to her marriage; A tiger shark’s carrier crashes on the freeway and a gas leak strikes at a plastic surgeon’s office. Based on the story behind the OJ Simpson Trials and produced by real life lead prosecuting attorney Marcia Clark, The Fix is the kind of guilty pleasure you’ll be riveted by. Who do you cheer for when a former star athlete is embroiled in yet another murder and the woman who almost took him down comes out of retirement to have another go? Please tell us, we can’t tell for ourselves. As more and more evidence comes out, every character becomes more suspicious and everyone’s motives will be in question. With Robin Tunney as Maya (aka Marcia) and Adewale Akinnuoye-Agbaje as Sevvy (aka OJ) you won’t be able to tell who’s the cat, who’s the mouse, or who’s most likely to get eaten alive. The Fix premieres on ABC tonight. 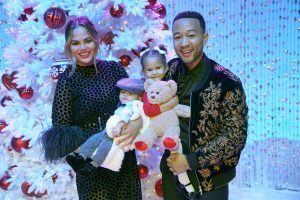 If you thought you could breathe a sigh of relief because Kate (Chrissy Metz) and Toby’s (Chris Sullivan) baby is here…well, the new family are not out of the woods yet. Baby Jack was born prematurely and his fight to survive is pushing Toby to his limits. Kate, for her part, is handling it amazingly well. 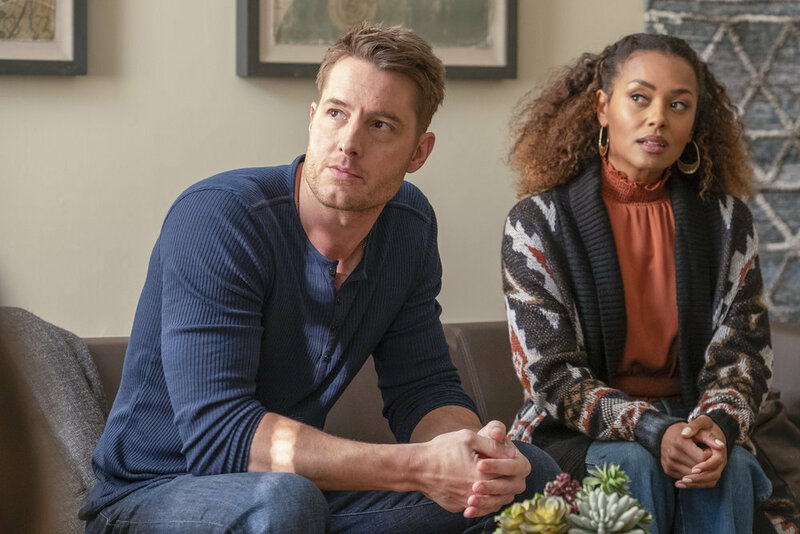 Meanwhile it’s time for Kevin (Justin Hartley) and Zoe (Melanie Liburd) to have an important conversation. He wants kids but she doesn’t—and she doesn’t want to stand in the way of his choice. Remember how we said timing is everything? Kevin just happens to run into his ex Sophie (Alexandra Breckenridge) while thinking things over… Plus, we all know his relationship with Zoe is not the only issue that Kevin is struggling with. After all the unknowns in the last episode, this week’s “Don’t Take My Sunshine Away” is going to share some difficult truths…and will anyone be ready? The Village premieres on NBC tomorrow night. The latest true crime addition to your binge-watch list is Hulu’s The Act. The series is based on the true story of Gypsy Rose Blanchard, who was abused by her mother Dee Dee Blanchard and made to believe she was constantly sick. The lies ended in tragedy when Dee Dee was found murdered in her bed and Gypsy was found to be physically healthy. It was a case that caught national attention and now Hulu is aiming to bring the Blanchard household to the screen. 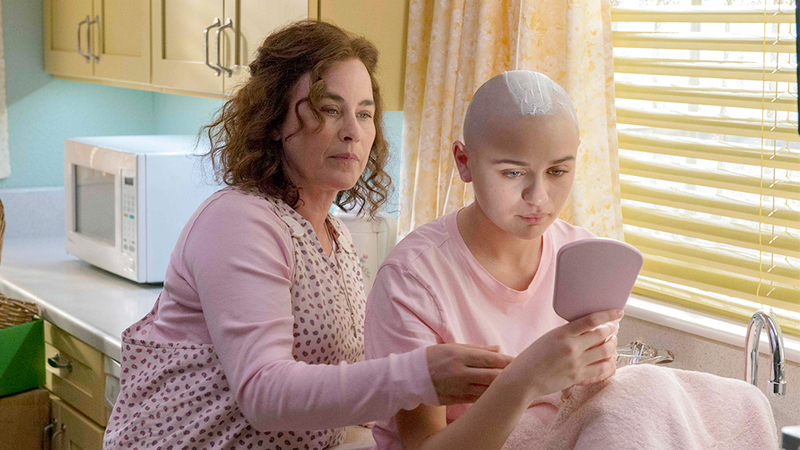 The Act is difficult to watch but you won’t be able to stop—Patricia Arquette as Dee Dee and Joey King as Gypsy are so compelling you believe their (often silent) struggle to overcome one another. You get drawn into their world so much that when the show flashes forward to the grisly murder scene it’s jarring—making sure you never forget where this is all leading. Not that you could ever forget—the unease you feel is heavy during every quiet moment, every small whimpering refusal, every lie that gets caught. 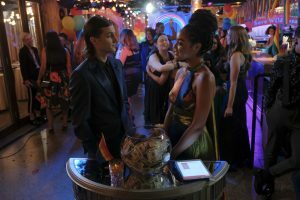 The show doesn’t seem to want you to take sides—evoking empathy at times for both mother and daughter—it’s merely trying to provide some kind of an understanding. Stream The Act on Hulu on Wednesday. There used to be a running joke in the PLL fandom that nobody on the show ever died (even if you saw them get beheaded. No, seriously). It seems you can’t kill this show, either; it only comes back with a vengeance. Pretty Little Liars: The Perfectionists is Freeform’s new spin-off, featuring a few of the original cast members along with a new set of Liars, this time set in college. This of course means the past comes back to haunt the OGs…and history is doomed to repeat itself with the new generation. 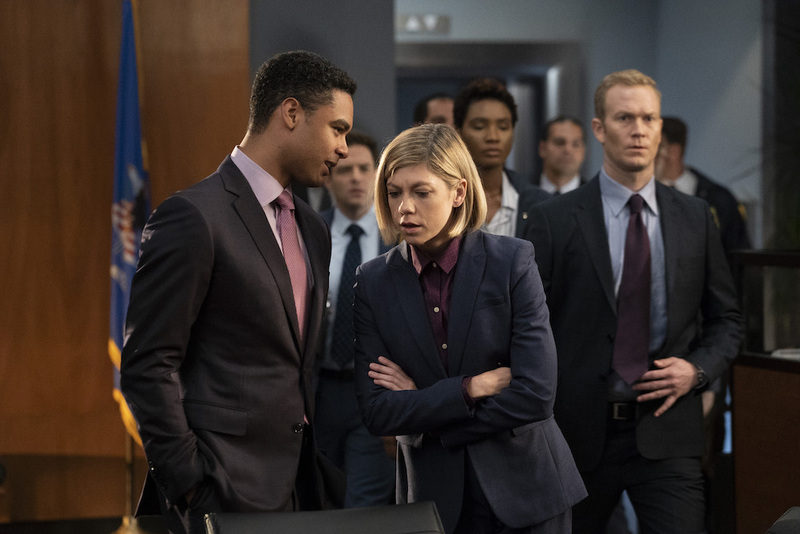 There are more twisted lies being thrown at you in the first episode than you could possibly keep up with but the mystery of “what the hell is going on?” will be strong enough to pull a new audience in. Die-hard PLL fans will be on board from the start—the beats and characters will definitely sound familiar and they’ll have enough context to begin unraveling the lies right away. The Perfectionists has the PLL formula which continues to work…for the most part…for newcomers. But if you suffered through the drawn-out downward spiral of the original PLL? The outrageousness, absurdity, and complete suspense of belief is here in full force…it’s up to you decide if you can deal with that again. 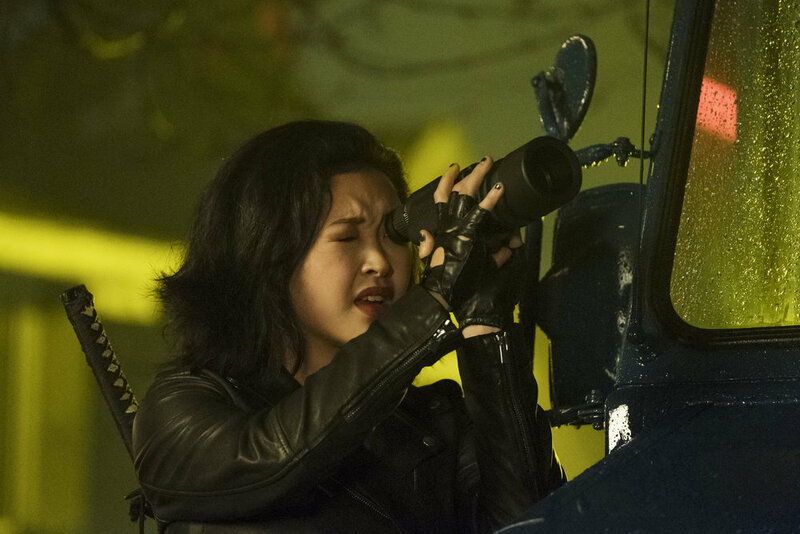 Shoutout to our girl, co-executive producer/writer, Paula Yoo on all the new pretty little thrills! Need a break from reality? 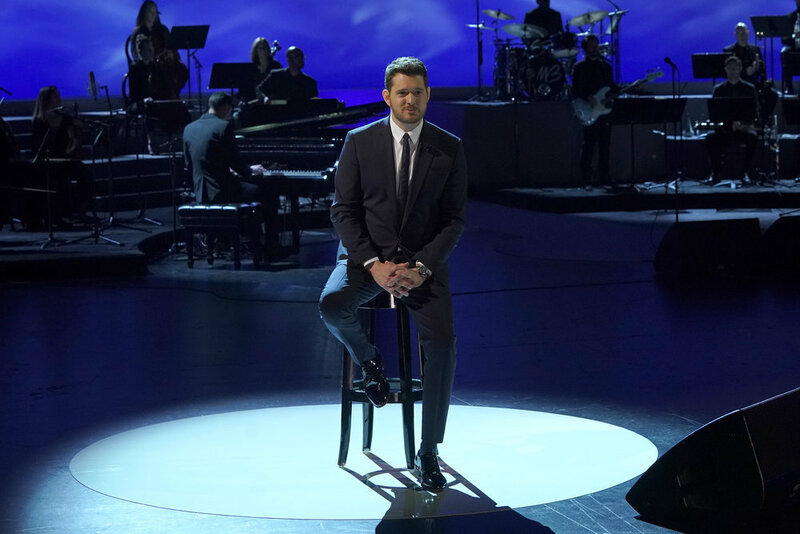 Let Michael Bublé serenade you with some old classics and some new faves, accompanied by a 36-piece orchestra. Watch Bublé! On NBC on Wednesday night. Deadly Class is not a horror show but a hillbilly massacre is about to go down this week…and, yes, there is a chainsaw in play. How does this show get more delightful the more bugle-fug-insane it gets? We can’t define it but we don’t need to, we’re too busy watching the assassin fueled mayhem go down while shoving popcorn and cookies into our faces, hoping this class of misfit misanthropes never comes after us…not for money, love, or good grades. Charles brings Jake into a case when a therapist reports one of his patient’s missing. Holt finds out Rosa has a new girlfriend that everyone else has met. Amy believes she has accidentally received a package meant for Terry. Sometimes a seemingly small thread of an investigation can uncover even more accidental crimes. Sometimes those accidental crimes come with silver linings. 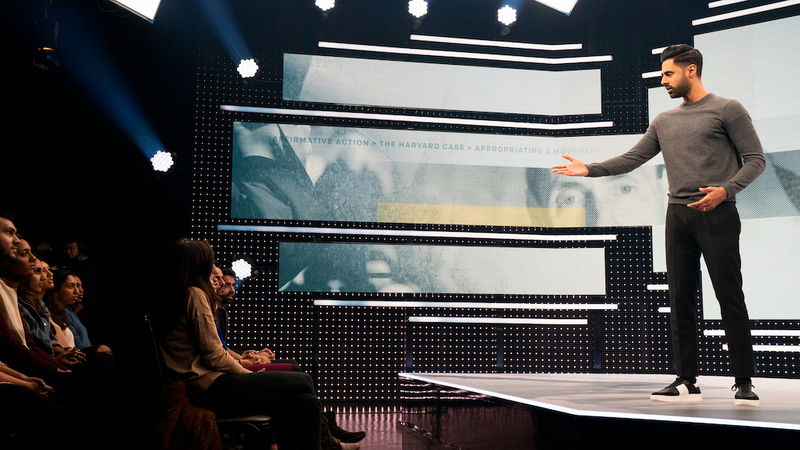 This week For the People aims to dissect the line of guilt and testimony. When a man steals a car from a woman, he doesn’t realize there’s a baby in the backseat. Suddenly grand theft auto has turned into kidnapping. But what if the investigation meant the baby would finally be safe? And is it possible to believe a criminal if they admit to only part of the crime? 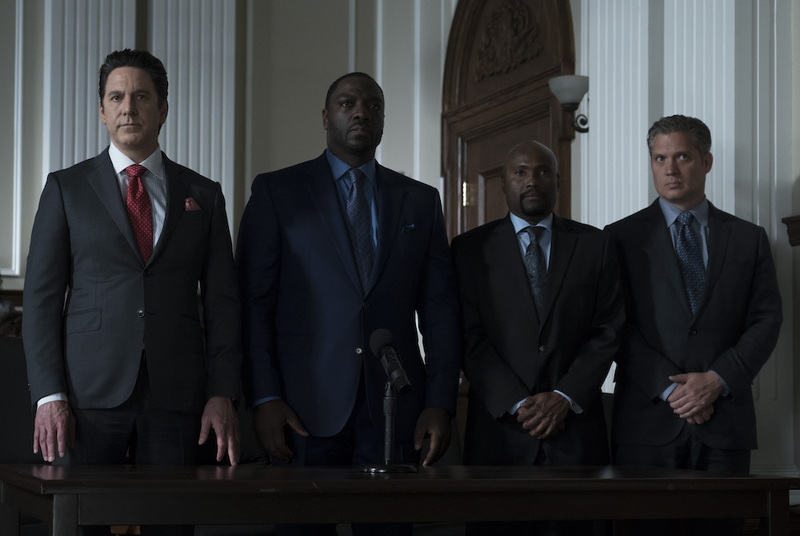 For the People continues to stretch the limits of your notions of the law and what is right and wrong—the grey area is where it shines. The first part of The OA started off fascinating and ended as a…wait, what now? No signs of that this time. We’re all in for Part II. There’s so much going on. There’s dimension hopping, and a global game that leads people to “nowhere” we know of, and (spoiler alert) giant telepathic octopi. Yep, you read that right. Plus all the characters you loved are back—in one form or another—and the mystery is eve more intense this time around the multiverse. The OA Part II comes to Netflix on Friday. Ever wanted the “dirt” on Mötley Crüe? Netflix is going there with their new biopic—and we mean all there. Watch The Dirt on Netflix on Friday. Technology is the most infuriating thing humanity has ever invented…yup, it’s even more infuriating than every member of the Doom Patrol and their stubbornness. Can Cyborg (Joivan Wade) be “fixed” and what does the even mean? Will Cliff (Brendan Fraser) ever figure out the internet? Will the team ever stop being mad at each other? Probably not…but they’ll have to deal with it when they head on a mission to discover their past. What the f$!# is the Doom Patrol? 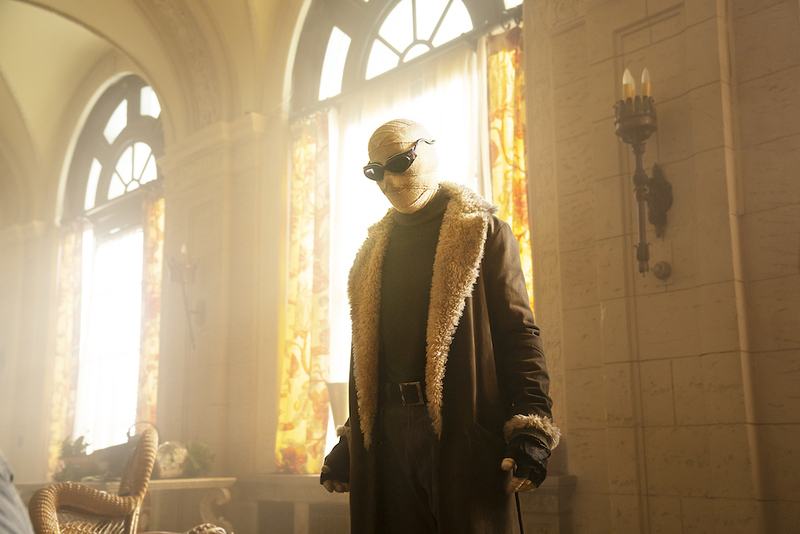 We don’t even know anymore—this show has messed with our heads too much so we’ll just sit back and enjoy the wild ride Doom Patrol is destined to take us on. We have no idea what “mature” means anymore. We’ve seen 70 year olds who are about as mature as a bottle of Boone’s Farm. On the flipside, we know funny when we see it. Funny comes from observing the truth and ambushing people with it. Give a woman 60+ years to watch the world bumble our way through children, careers, politics, spanx, and the predicament of giving head, and that woman’s observations are going to be funny enough to ambush you into tears. Fran Drescher, Carole Montgomery, Lynne Koplitz, Kerri Louise, Vanessa Hollingshead, and the fabulous Luenell have our cheers—with our glasses and our laughs. Get ready to giggle with the Funny Women of a Certain Age…Rated Mature…whatever the hell that means. Funny Women of a Certain Age comes to Showtime on Saturday. Mr. Wednesday (Ian McShane) has picked a new pawn to use in his game: Laura (Emily Browning), oh the poor unwanted Laura (no, really, we don’t want her story). Her desperation to become worthy of Shadow (Ricky Whittle)—and in turn, life—makes her easy to manipulate. When Wednesday uses her to add another god to his collection, Laura sets things in motion that cannot be undone. If only she’d listened to Sweeney (Pablo Schreiber), huh? Nobody ever does. But we do—because his journey is far more interesting to watch, bringing a comically bitter twist to the tale. 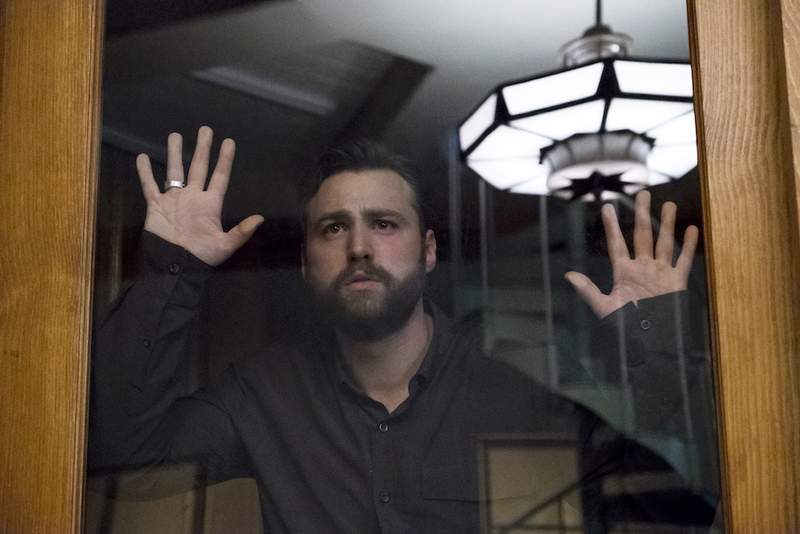 We also get to see some layers to Shadow we hadn’t seen before in flashbacks—and the young boy who plays the past him is remarkable at evoking the pain of lost love. And there’s a solo road trip for Shadow, where he meets Sam (Devery Jacobs), a character many people wanted more of from the book. The chemistry and mystery is high for the entire three minutes the pair are on screen. 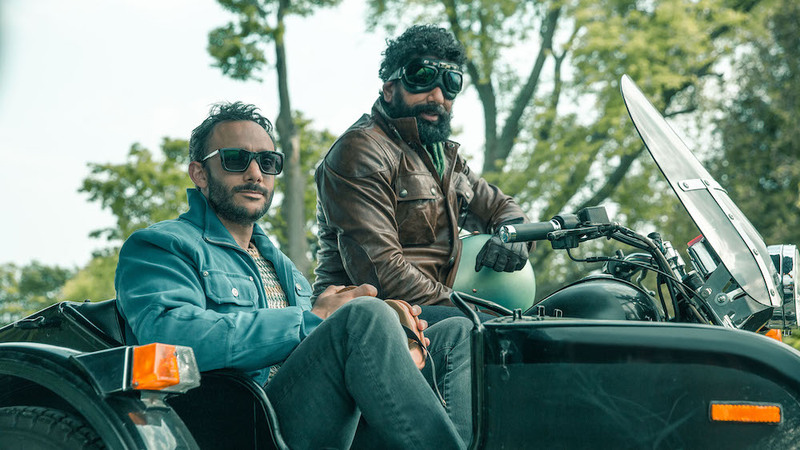 American Gods season 2 airs on Sunday, only on STARZ. As he is tracked by Mr. World, Shadow makes his way to Cairo, thanks to a ride from Sam Black Crow. Mr. Wednesday slyly gains Laura’s help in forging an alliance with a powerful god. 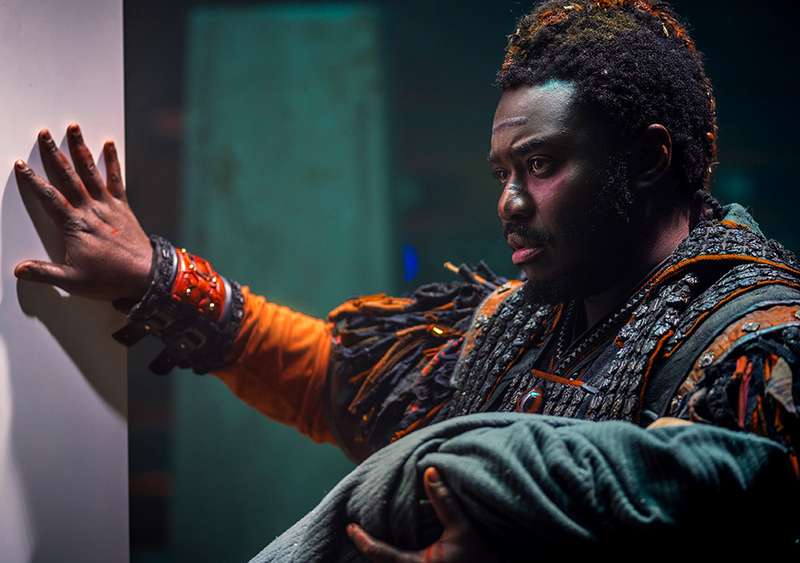 We’re so sad that Into the Badlands is coming to an end…but they’re going out on a wild and explosive note. “Chamber of the Scorpion” launches us right back into the season with blood…so much blood. Pandora’s box is open, the monster has been unleashed, the Badlands have a new harbinger of the apocalypse. Damn, we’ve missed this show. 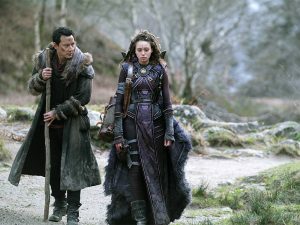 Sunny (Daniel Wu) has helped Pilgrim (Babou Ceesay) to open the Meridian chamber and unleash the dark power in order to save his son…but what good is Henry’s life if he has no world to grow up in? It doesn’t take the ever-blunt logic of Bajie (Nick Frost) to figure out this is Bad with a capital B. Does Sunny have a plan to reverse the course of chaos? 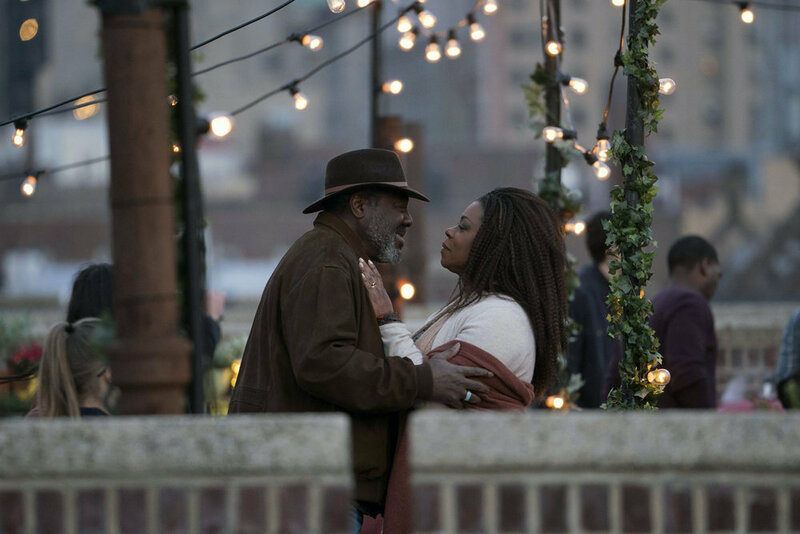 He’s working on it…if Cressida (Lorraine Toussaint) doesn’t murder him with her words first. 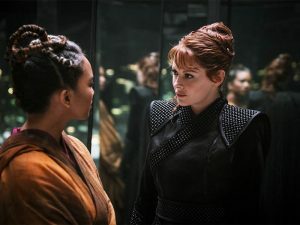 Meanwhile The Widow (Emily Beecham) is trapped with her old mentor, The Master (Chipo Chung), but she begins to realize she’s right where she needs to be. The knights and pawns are all moving into position on the war-torn chessboard that is the Badlands…soon it’ll be checkmate and we can’t tell who’ll come out on top. Into the Badlands returns to AMC on Sunday.